The MDC is irked by Mnangagwa's misrepresentation of the Zimbabwean situation in front of the whole world in a shameless attempt to sugar coat his limited capacity. The best way to move forward is to correctly define and characterize the status quo as well as appreciate the challenges ahead. 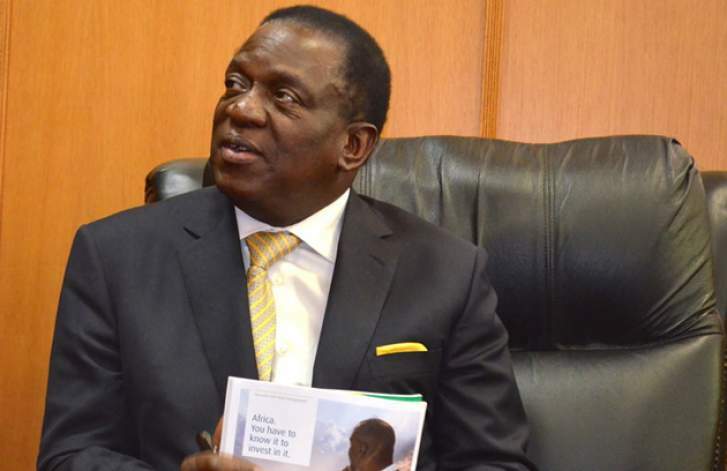 Mnangagwa's misrepresentation of facts in New York is worrying. This misrepresentation of facts might win him a few gullible, impressionable and excitable fanatics back at home and maybe abroad but certainly the world is not blind. The issue at hand is one that has to do with confidence building, overstating Mnangagwa's achievements of the past 7 months simply expose his dishonesty and sadly it is a disservice to the nation. In New York Mnangagwa lied with a straight face that GDP per capita in Zimbabwe rose to $1500 in the first 7 months of his reign of shame. Zimbabwe's per capital income is $890 according to the United Nations' country statistics. The African Development Bank places it at $840 while the World Bank using the Atlas method places per capita income at $840. Mnangagwa is known for confusing figures including his infamous addition of 10 plus 4 adding up to 40; he can be forgiven for making mathematical mistakes but certainly cannot be forgiven for the other lies. That the National Peace and Reconciliation Commission is a creation of his, is an insult not only to his audience but to the democratic contingent, victims of political violence and their families. Mnangagwa claims to have created the commission when in fact its a constitutional creation. He further claims that he appointed the Commissioners when these were appointed in Mugabe's time. It exposes Mnangagwa as a liar but also shows that appointment of commissions are no indicator of real reform. In May of 2017 while he was still the vice president, he claimed that Zimbabwean banks were seating on US$9 billion with no viable projects to fund. In its latest report on the banking sector at the time, the RBZ had released information to the effect that only US$6 billion was in the banking sector. He also sensationally claimed that the Mugabe government created 2,2 million jobs, a joke not so funny but rather sickening and an insult to the unemployed masses of Zimbabwe. His Finance Minister Prof Mthuli Ncube seems to be learning fast, he also lied and mismatched figures while addressing the Zimbabwe Investor Forum on the sidelines of the General Council. He overstated statistics on the ZSE's cumulative return since March 2009 to 2000% whose variance to the actual 600% return is just too much of an irreconcilable gap. Then in a clear sign of selling his soul and committing integrity suicide, Ncube supported Mnangagwa's claim to create a medium income economy of $3500 GDP per Capita by 2030. This cannot be reconciled with Mthuli's projections of 6% annual growth rates. Achieving the above per capita income by 2030 will require an average growth rate of 11% considering population growth does not go beyond 16 Million. Forget the poor show by John Panonetsa Mangudya in his New York Presentation, the lies by Dambudzo assisted by Mthuli did serious damage in portraying Zimbabwe as a country of dishonest global citizens. Legitimacy issues must be sorted out, there is no substitute to that. The high country risk profile must be eradicated through respect of human and property rights, the rule of law and an honest shunning of corruption. There must be institutional, political and pain staking economic reform. In the interim Zimbabwe must do away with pictures dominating international media those of deadly diseases, starving children, economic chaos, political instability and conflict. The UN trip has gone down the drain and tax payer's money gone to waste.